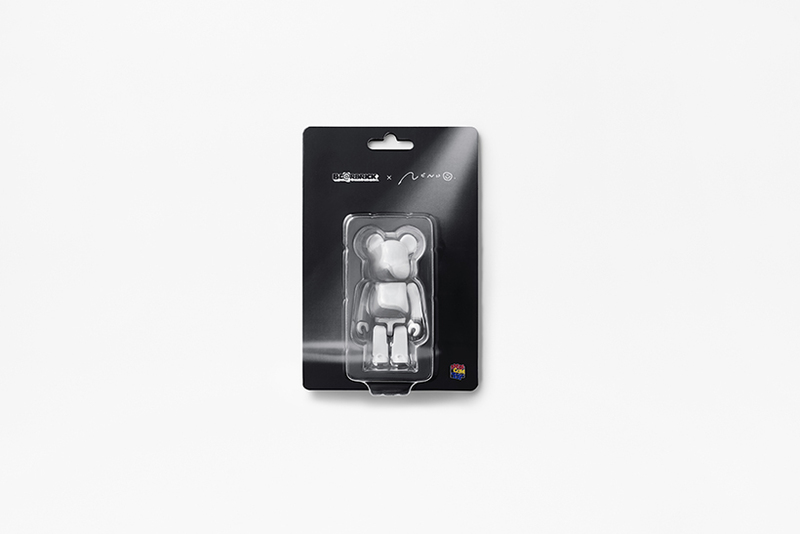 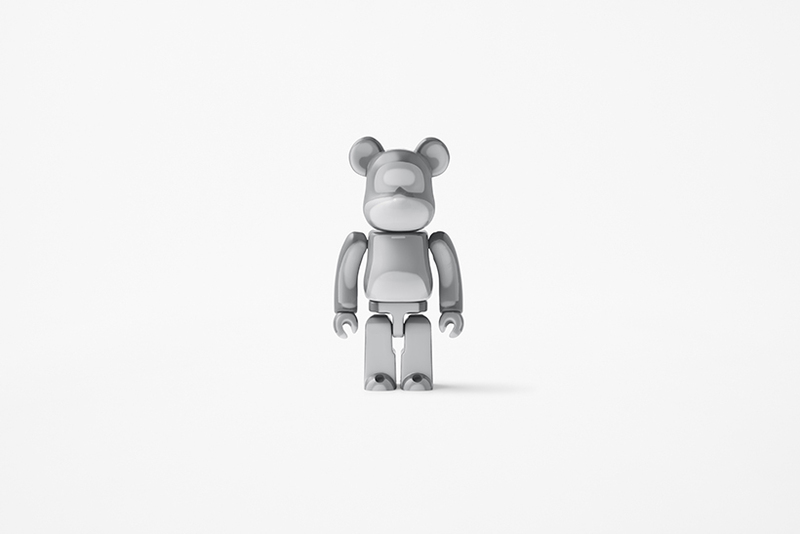 BE@RBRICK by MEDICOM TOY is a block figure in the form of a bear, approximately 7 cm in size, and was introduced in 2001 on the 100th anniversary of the birth of teddy bear, under the concept to create a “digital teddy bear”. 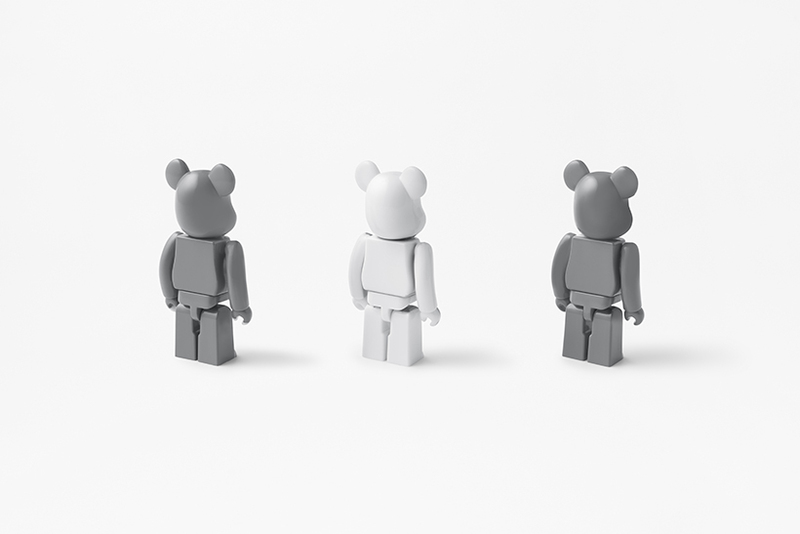 It is characterized by the rule that no three-dimensional addition is to be made to the nine existing basic parts that compose the figure (head, arms, wrists, body, waist and legs) and that the only alteration is to be made solely by the expression through print. 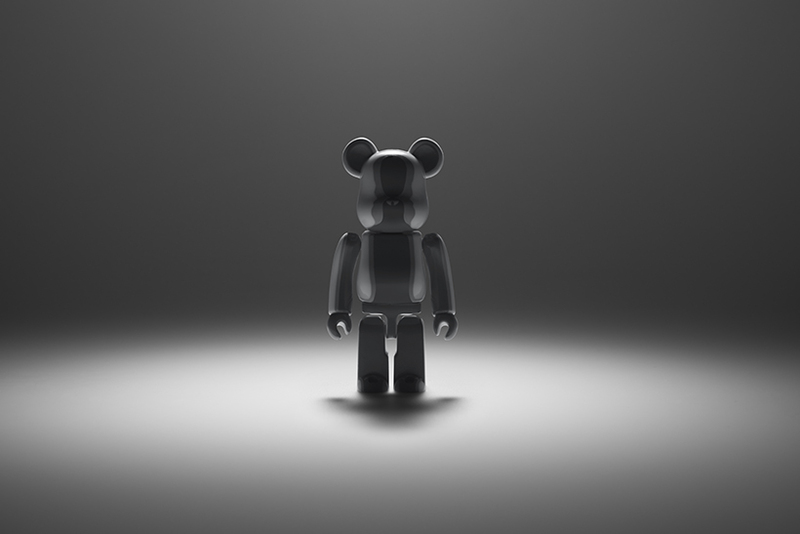 BE@RBRICK has collaborated with various brands and artists as well as anime and movies. 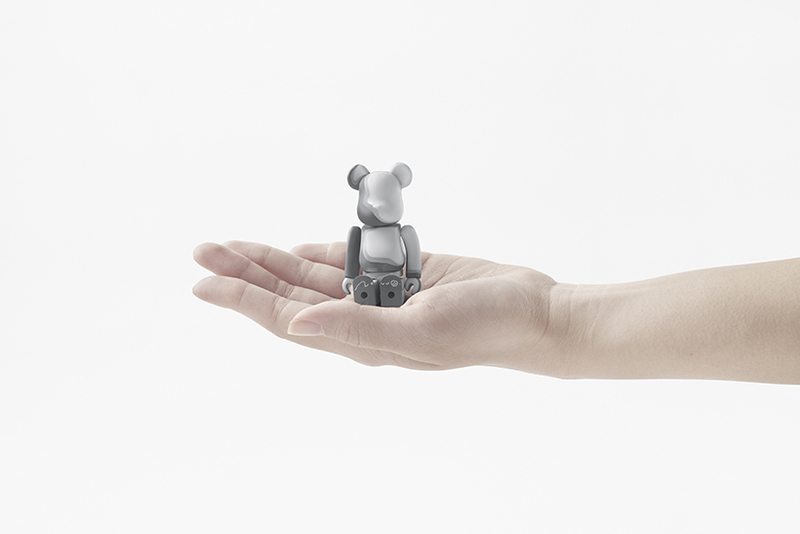 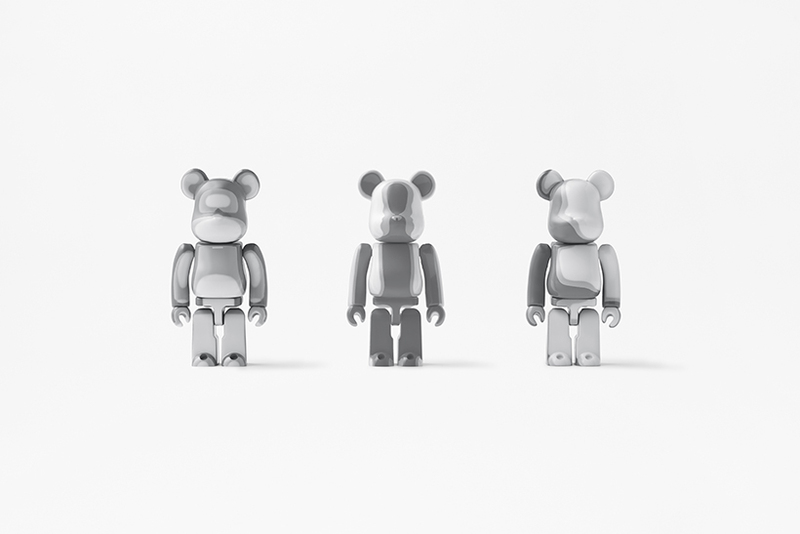 Upon collaborating with BE@RBRICK, inspiration was drawn from the unique aspect of past collaborations: embellishing, forcibly at times, two-dimensional graphics on the three-dimensional figure. 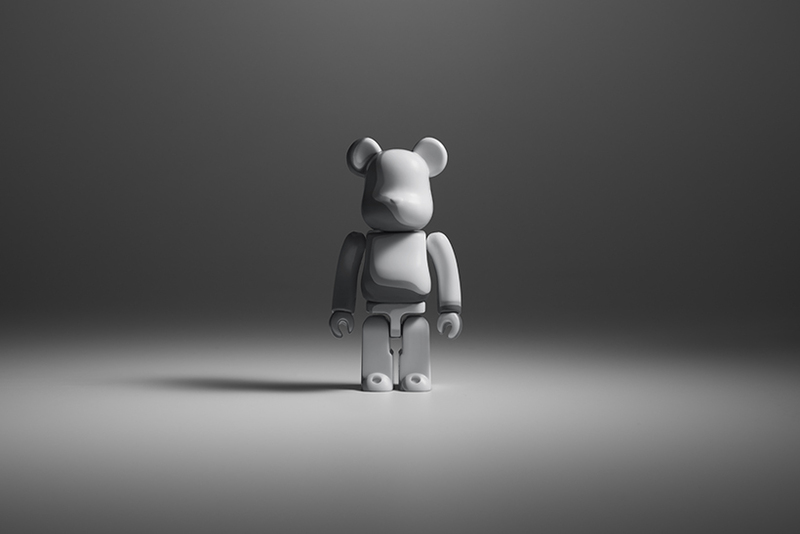 This theme was developed further into the idea to give a “more three-dimensional feel” through a two-dimensional expression. 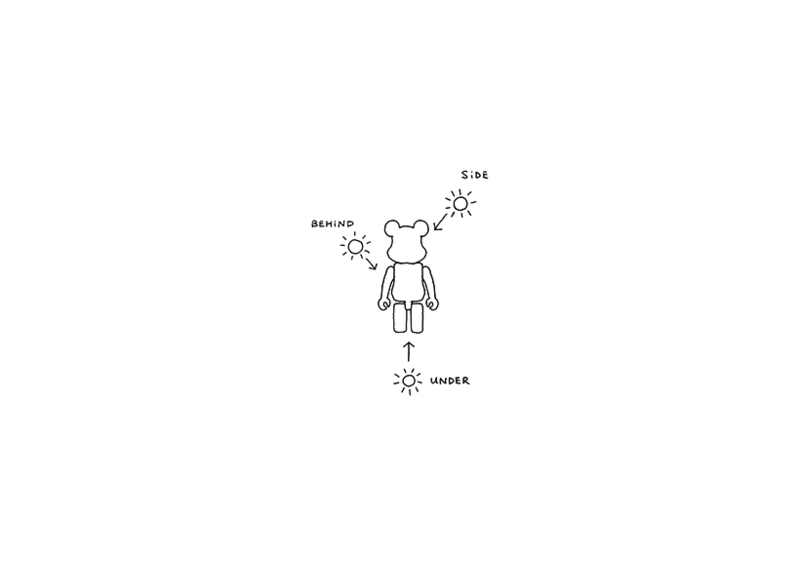 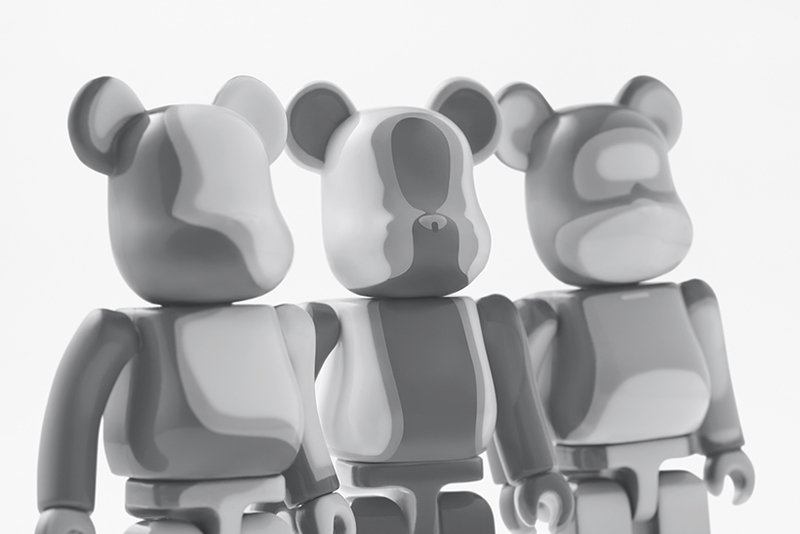 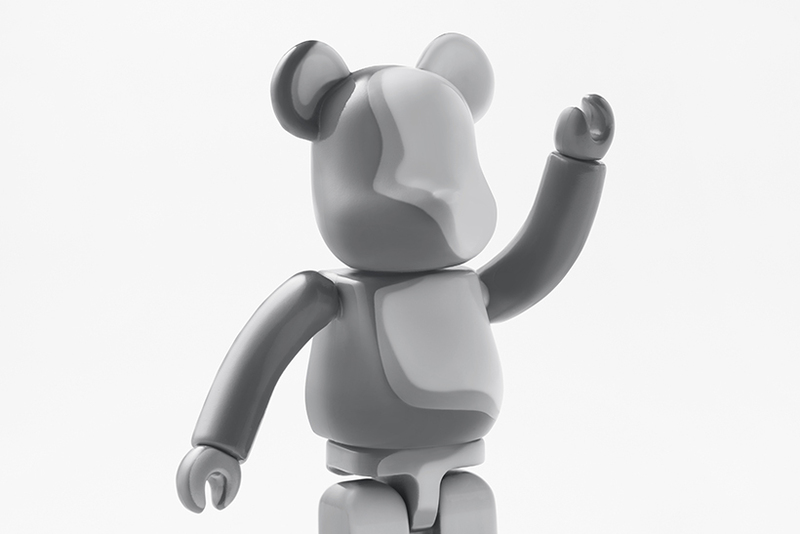 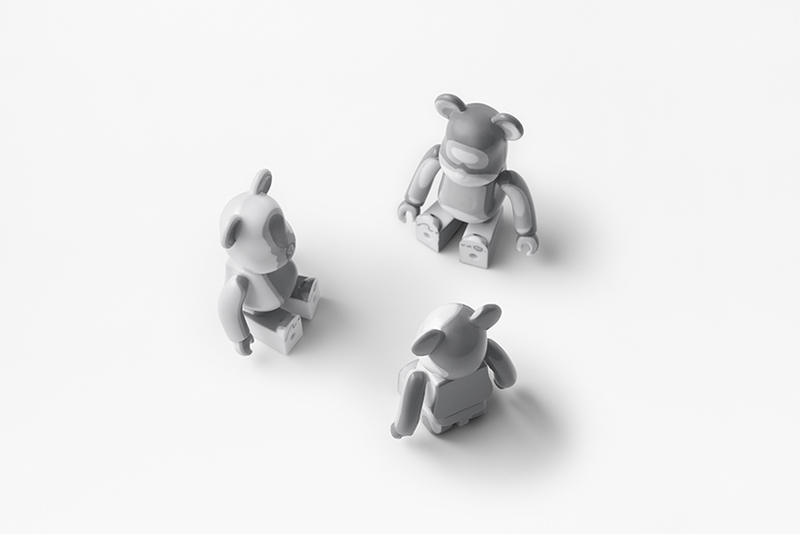 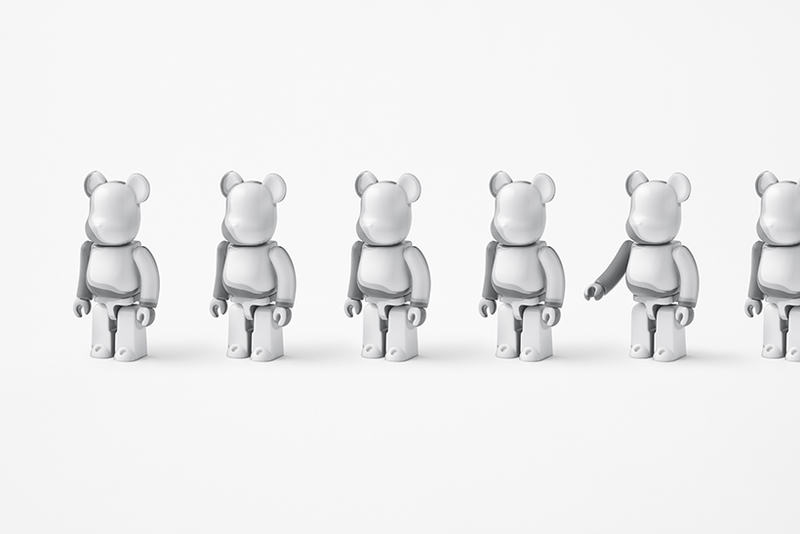 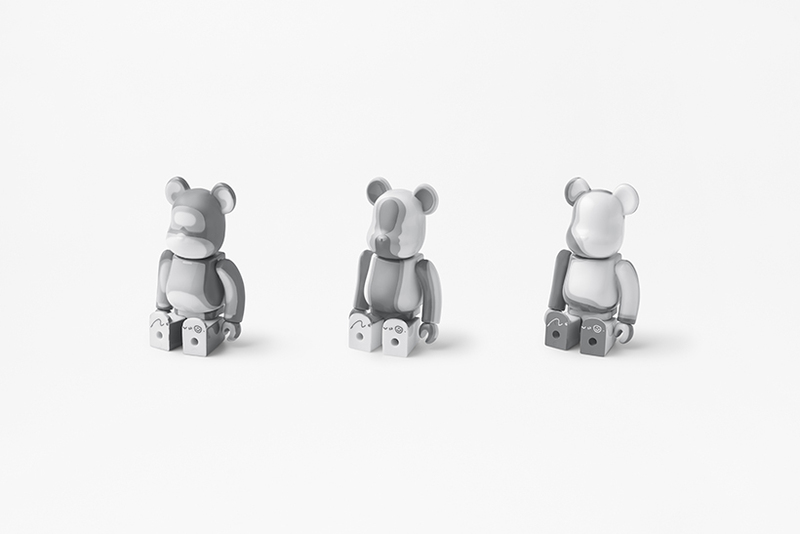 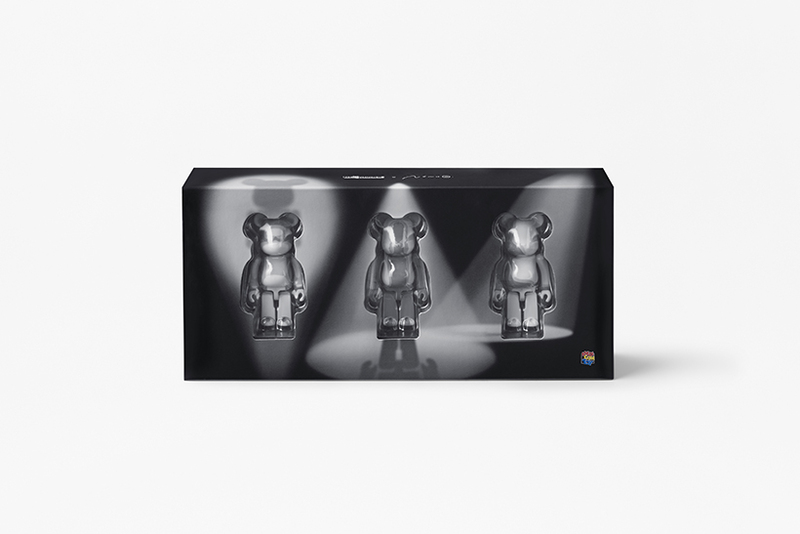 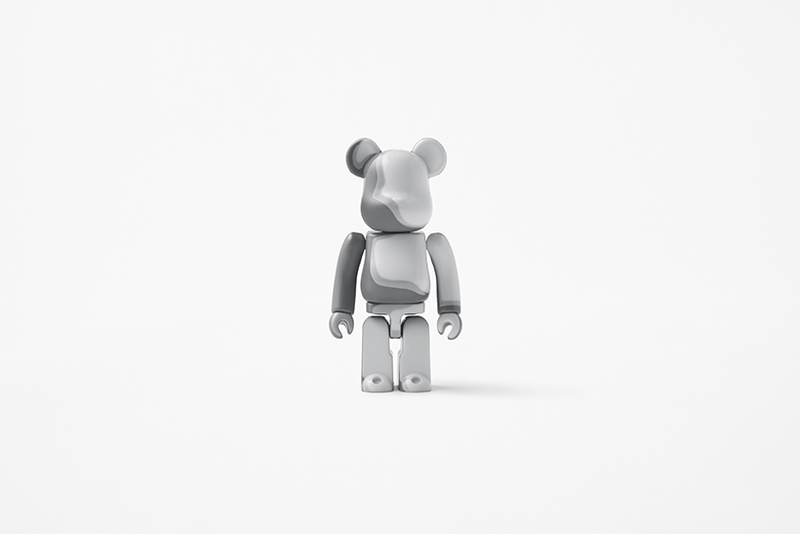 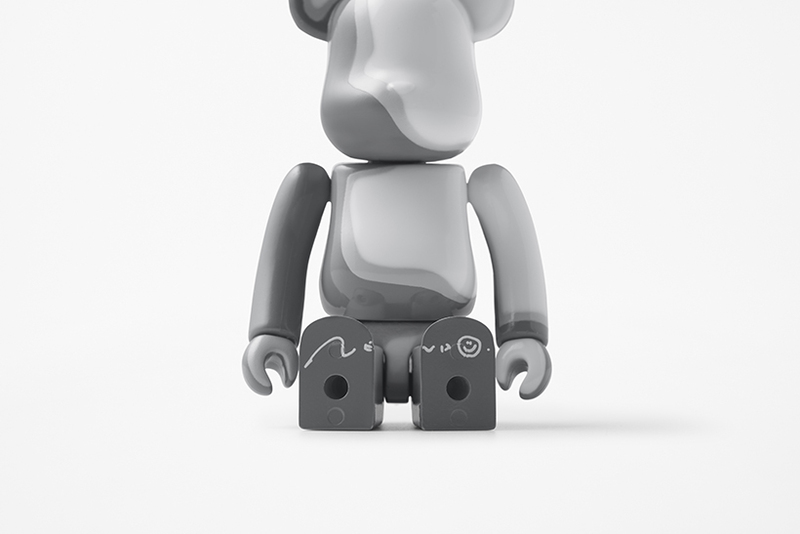 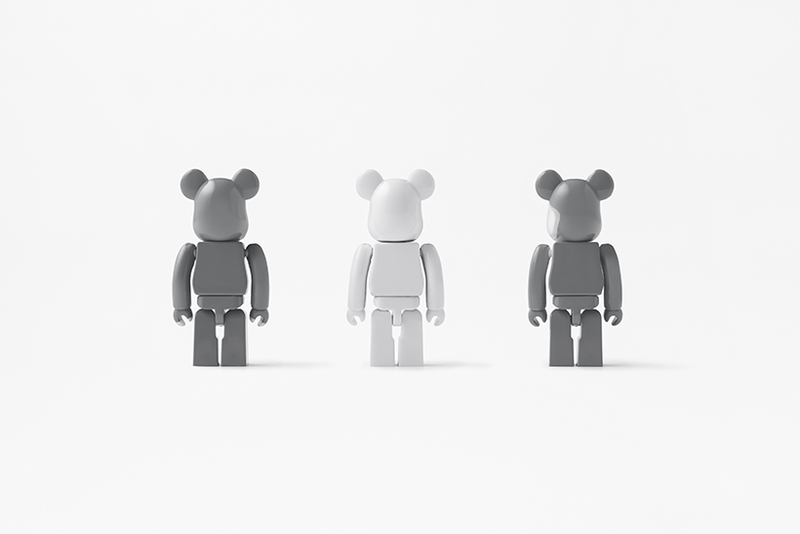 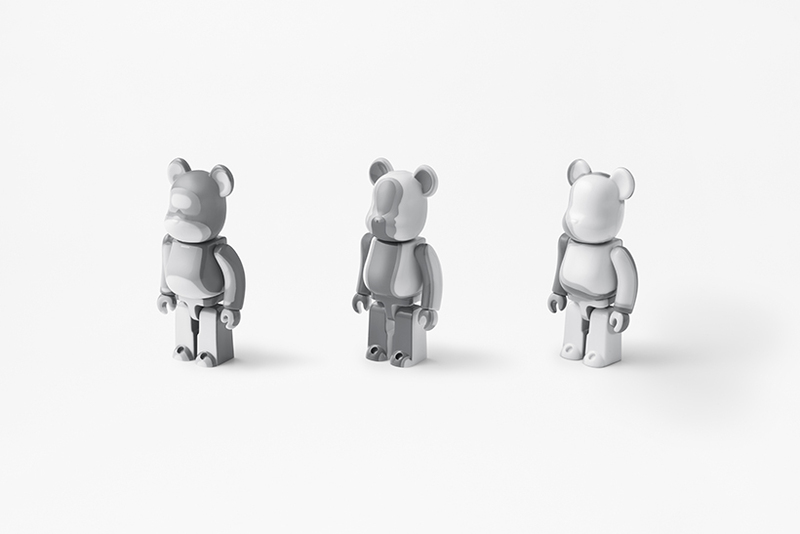 Ultimately, in order to emphasize the figure’s three dimensional feel, two shades of gray were printed on the purely white BE@RBRICK to express “shade and shadow”. 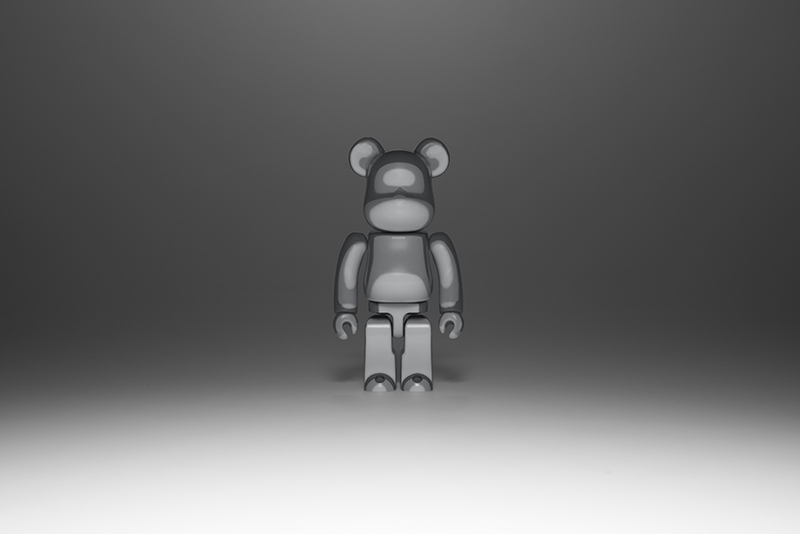 “side” where the light seems to be illuminating from diagonally above. 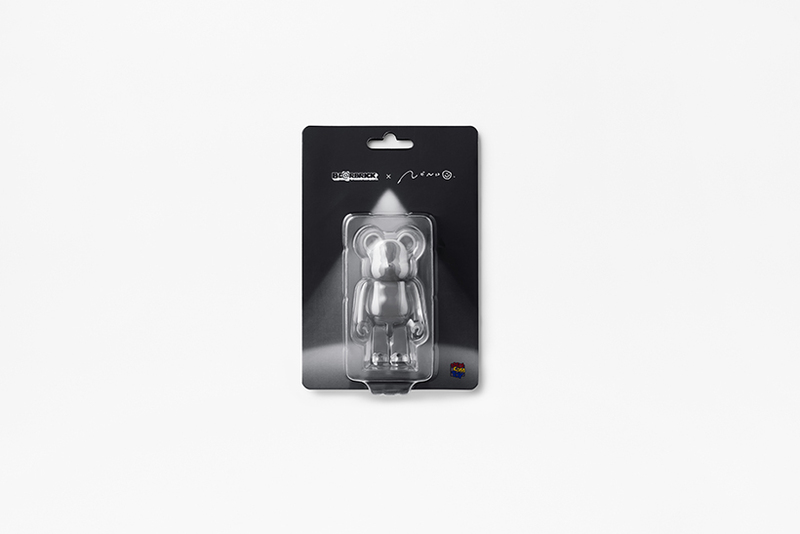 The package was made by a simple black colour with only the trajectory of the spotlight. 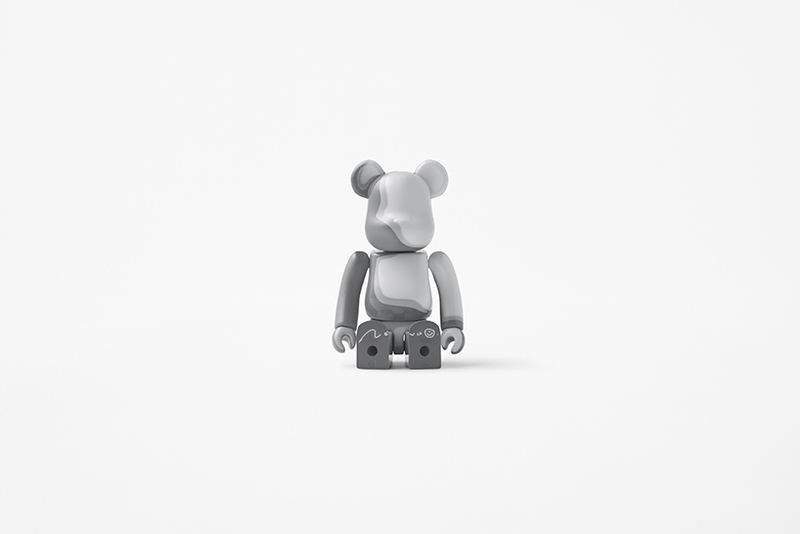 The logo, which represents the collaboration, was not placed on the “back” as was the custom, but was printed on the “foot sole”, made visible when the BE@RBRICK is being sat down.